In the following, we present three projects of accessible homes that prove that a suitable home for a small family does not have to cost a fortune. 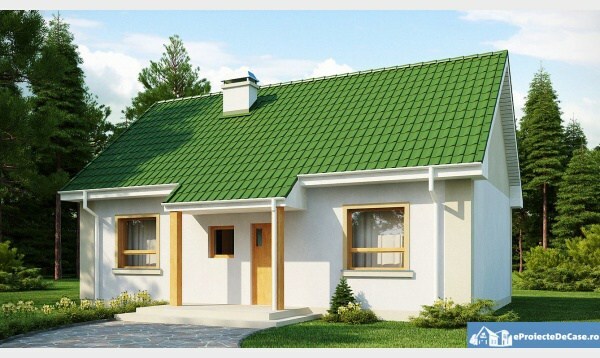 The first house has a built area of 89 square meters and a useful area of 65 square meters. In terms of costs, the price to red is 15,000 euros, and the key price of 34,000 euros. Sharing is a good one for a couple. 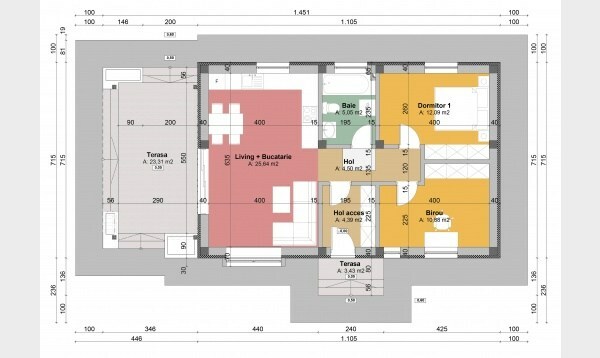 Thus, the house has a living room, a kitchen, a bathroom, a vestibule, a bedroom, a technical space and a large hall that connects them. 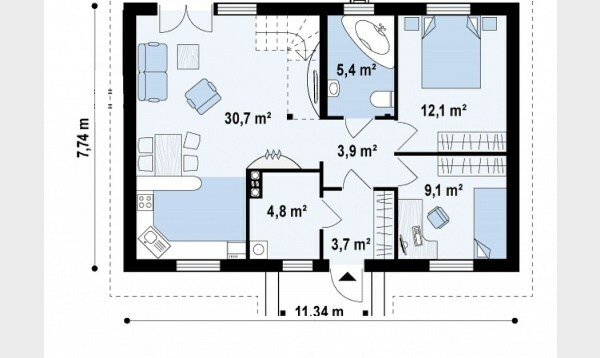 The following example is a construction of 85 square meters, while the ground footprint is 66 square meters. The house is a very affordable one, the red price is 14,000 euros, while the key price reaches about 32,000 euros. 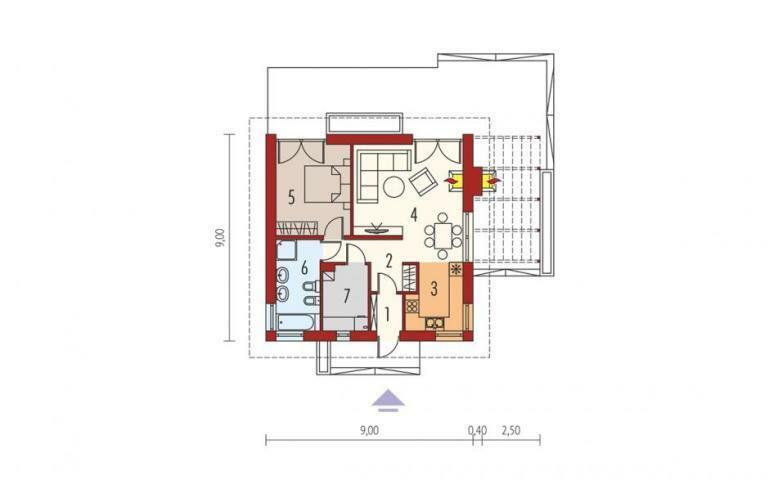 The construction plan proposes a bedroom, to which an office is added, but if necessary, this room can be transformed without any problem in a bedroom and thus, the house becomes suitable for a family with three or even four members. 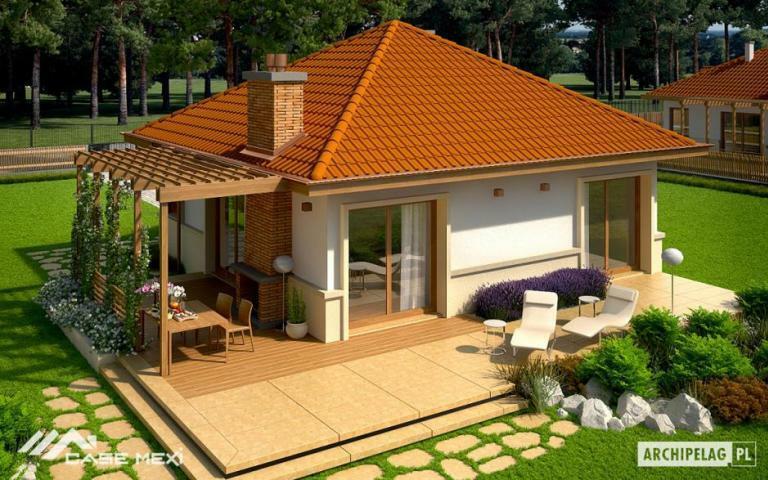 The two rooms add the kitchen, living room, bathroom and two terraces. 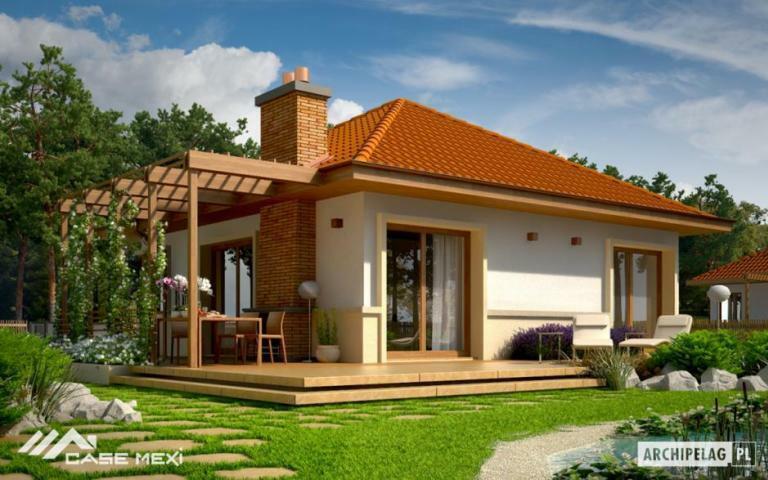 The third and final project we are talking about today is a house with ground floor, with a built area of 87 square meters, of which the useful area is 73 square meters. 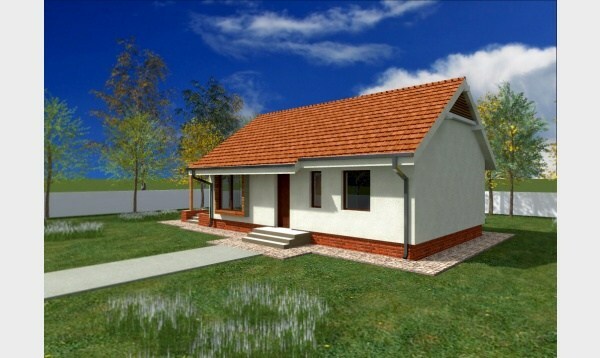 The house has two bedrooms, an open space area comprising kitchen, living and dining and is an ideal home for a family with 3 or 4 members. The price to red for this is 13,000 euros, while the key price is 31,000 euros.